St. Patrick’s Day is the time of year when we appreciate Irish culture, and it’s long and storied heritage. In Michigan, you won’t run out of ways to celebrate on March 17. From pubs that will transport you to Dublin, to kid-friendly entertainment like parades and festivals, Michigan will surely find a way bring you a St. Patty’s Day you won’t forget. Settle in, throw on some green, and check out these 13 great places to spend your St. Patrick’s Day in Michigan. 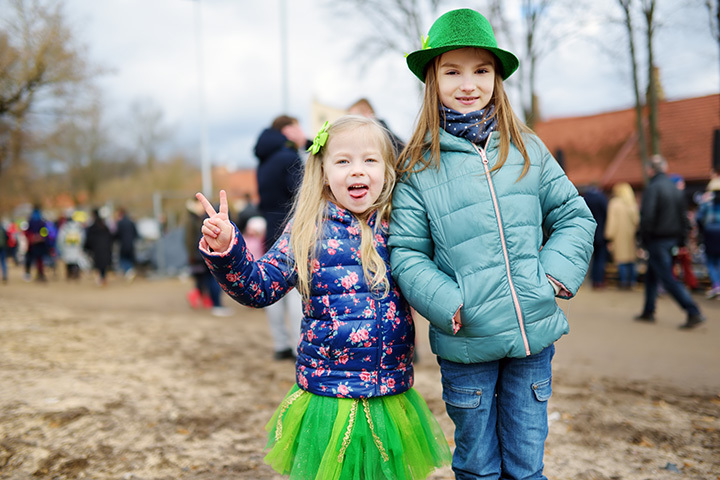 Holland may best be known for its Dutch connection, but on St. Patrick's Day, everyone's a little bit Irish, and that means a parade. The Holland St. Patrick's Day Parade boasts a set of Irish dancers as well as some classic kilt affair. Plus, they even open up the parade to outside marchers for no fee at all, so step in and join in the fun yourself! Head out to St. Clair for a look at the Murphy Inn, regarded as one of if not the oldest Irish pub in Michigan. Determining just which pub actually gets that honor is said to be something of a hornet's nest, but age aside, the Murphy will not only offer the usual slate of drinks, food and fun, but also has a complete hotel attached, so planning ahead will allow the fun to go for hours. Grand Ledge will put on a thoroughly impressive St. Patrick's Day celebration for those interested. Most of the weekend will be taken up with such festivities. Not only will there be traditional Irish dancing exercises, music from The Pub Runners and the Glen Erin Bagpipe Band, and even an Irish stew cook-off event all ahead of the traditional parade. Cap it off with a pub crawl and the weekend is pretty much complete. Those around Clare for four full days near St. Patrick's Day will be surprised to find a whole slate of events in the Clare Irish Festival. Not only is there a children's carnival to start off the events, it's followed up with a parade, complete with the Scottville Clown Band. Top it off with Irish recipe contests, a craft show, musical performances including a karaoke contest and a fish fry, and that will be most everything you could ask for in the latter half of a St. Patrick's Day week. A trip to Brighton will hook you up with another pub experience that's worth taking note of. While it's not only got the best burger in the area, as well as drinks to spare, reports suggest that its corned beef proves popular on St. Patrick's Day. How popular? One year, the pub went through a reported 700 to 800 pounds of the stuff by the end of the day. That's a lot of corned beef, and reason to check this out for yourself. Once again, Traverse City has delivered the good for things to do on St. Patrick's Day with an event that goes back over 20 years: The Official Unofficial St. Patrick's Day Pub Walk. The event has run over 20 years now and should continue to do so, featuring 10 different bars over the course of 10 hours, allowing a look at the full range of options the town has to offer. Now, I know what you're thinking. Why would you go to St. Julian's on St. Patrick's Day? That's not even the right saint! But St. Julian's—the premier wine and grape operation in Paw Paw—offers a little professional courtesy every March with its own Small Plates Wine Tasting event. A three-plate dinner and wine tasting, the event offers not only Irish-themed dishes, but the wine to go with them. Make your reservations in advance on this one as it tends to fill up fast. Head to Saginaw and Bennigan's yes, Benningan's, and no, it's not dead, just rebranded for a major event for St. Patrick's Day. Dubbed the Blarney Blast event, live music and drink specials are just a start of the impressive lineup here. Big Powderhorn Mountain near Bessemer is known as one of Michigan's greatest skiing attractions, but for St. Patrick's Day, it's known for something else: A massive party that helps to celebrate the end of another season. In March, it becomes obvious even in Michigan that winter's influence is waning, and so, the season is shown the door at an oddly convenient time. Those in Lansing will want to swing by Dublin Square Irish Pub, where the fun starts at breakfast and doesn't let up for most of the day. Start out with breakfast until 11 a.m., then follow up with several DJ operations as well as live bands. Bagpipers will be on hand, and if Michigan weather cooperates, the patio will be opened up as well. Going to Grand Rapids? Then this chunk of St. Patrick's Day will be hard to pass up. Hosted by BarFly Events, Irish on Ionia is regarded as "Michigan's largest St. Patrick's Day street party." An abundance of green beer will be on hand, naturally, but so too will a breakfast buffet, an array of drinks, and other thoroughly adult entertainments complete with live music. Tickets range from $20 to $65, depending on preferences, so a variety of options will be in place. Just leave the kids home for this one. For a taste of history along with your St. Patrick's Day fun, head for Bay City, where their annual St. Patrick's Day parade awaits. The highlight of the parade is the exhibition of the St. Patrick's Day Queen, chosen from among the community's young ladies of Irish descent, who then rides on the Queen's float in the parade and lands herself scholarship dollars in the process. A Scottish bakery on St. Patrick's Day is madness! Is that what you're thinking? Then hold off just for a minute, because there's more going on here than meets the eye at Ackroyd's Scottish Bakery in Redford. For St. Patrick's Day, reports note, the Scots put on the Irish by offering up some of the greats of Irish baking. Soda bread, hot cross buns, Irish stew pies and corned beef and cabbage pasties all show up on the menu.